I call journaling my “me time”! It’s me, myself and my soul! Journaling is your world of imagination where you can be yourself, be vulnerable and be none judgmental toward yourself. It is the best way to align your thoughts with your emotions. Your journal has the potential to be both a therapist and a dear friend who listens without judging or interrupting and is open 24 hours a day. You can tell your journal things you wouldn’t dare verbalize to someone else. Writing it down takes the edge off more toxic feelings and emotions and helps you better understand what you’re feeling by freeing up thinking space to gain clarity on what to do next. The journal is a great way of tracking down what we do and why we do it which can also serve as a powerful learning tool. Writing requires us to think through the why’s and the how’s. When we sit down behind a blank computer screen or sheet of paper and begin to write out what we accomplished during the day, we are forced to think through our process on a deeper level. The discipline forces us to answer the difficult questions of “why,” “how,” or “why not?” The answers to these questions are not just helpful as we move forward to repeat successes and avoid mistakes, they can be therapeutic as well. It’s the buzz word for good reason. There’s a strong connection between happiness and mindfulness. Journaling brings you into that state of mindfulness; past frustrations and future anxieties lose their edge in the present moment. It calls a wandering mind to attention, from positivity to actively engaging with your thoughts. By getting into the habit of consciously and attentively looking back over your journals, you’re able to track your personal patterns of behavior that help you achieve goals and respond effectively to challenges. You’re also able to see the patterns that get in the way of personal and professional growth and healthy relationships with self and others. By becoming mindful with what you are discovering, you can move yourself from knowing into a doing state. First, I am not a mental health expert. However, countless articles on the benefits of journaling reference the importance of journaling to mental health. It seems the benefits help people a great deal and probably myself and I don’t even realize it. A few areas in our mental health it helps with is self-esteem, confidence, ability to deal with hurt and loss in life. We also see it helps with difficult relationships and other health struggles which are causing us to struggle in our mental life. The creative benefits of keeping a journal are also well documented. You’ve likely heard that the best way to get better at writing is to just keep doing it. That’s true, but the benefits go deeper than just crafting better sentences. For example, regular writing can help you learn to process and communicate complex ideas effectively. It can also help you memorize important information, and brainstorm new ideas. In other words, writing about your experiences not only helps you process them, it helps you see opportunities that may not have been apparent at first glance. It also helps you learn to break down complex experiences into relevant, useful bits of information organized coherently. 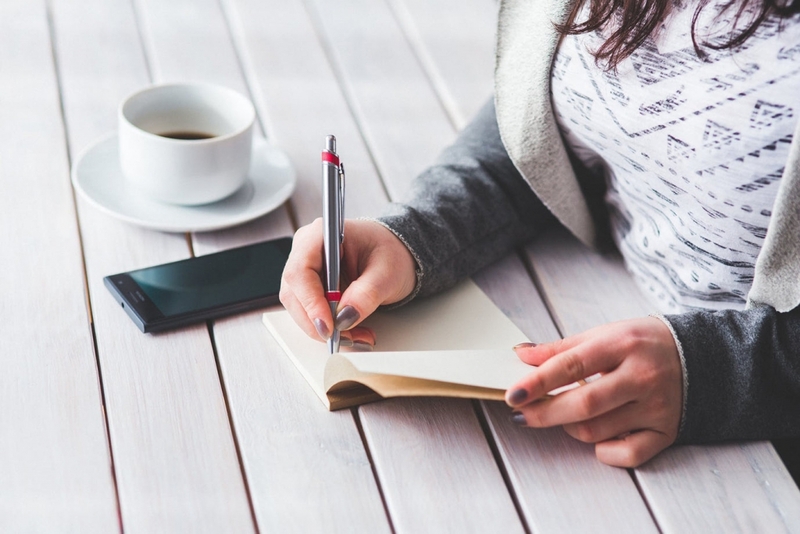 Even if you don’t think anything special has happened to you, the very act of keeping a journal can help you brainstorm. How often have you caught yourself writing about something that seems dull on the surface, but led you to a spiderweb of other thoughts, ideas, and memories as you were processing it? Regular writing opens the door to those opportunities every time you sit down.